When Baylor decided to launch a custom publication promoting their growing health care system Corrie Demmler, owner and principal designer of Paper Patina took on the project, determined to create an out of the box solution. 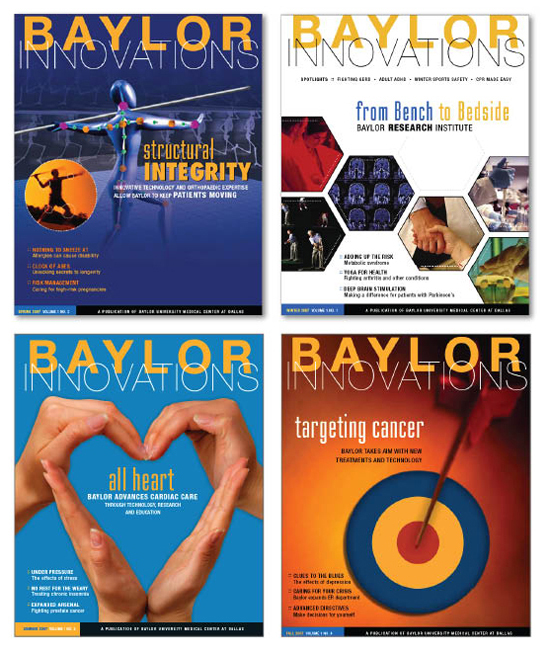 Corrie served as art director for Baylor Innovations in conjunction with the CURE Media Group editorial team and the Baylor marketing department to develop all of the visual aspects of the custom publication. The result? A clean, consumer-focused publication, which highlighted Baylor’s leading edge position in the North Texas healthcare market. Corrie art directed the first four issues including creating the masthead, page design, photo art direction, choosing stock art, and creating custom illustrations. 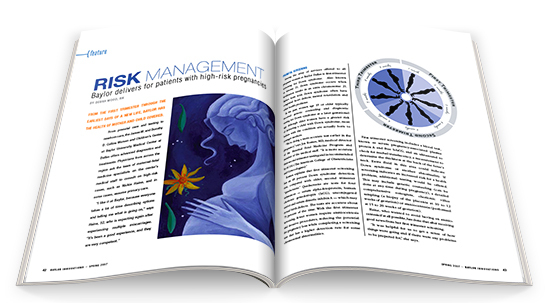 Stylized images along with conceptual art work helped to keep a fresh look for each issue and promote the system’s research, growth, and key departments. Images used in this commentary © Baylor Health Care System. Want to know what’s new at Paper Patina? Be the first to know about new projects and free design downloads. 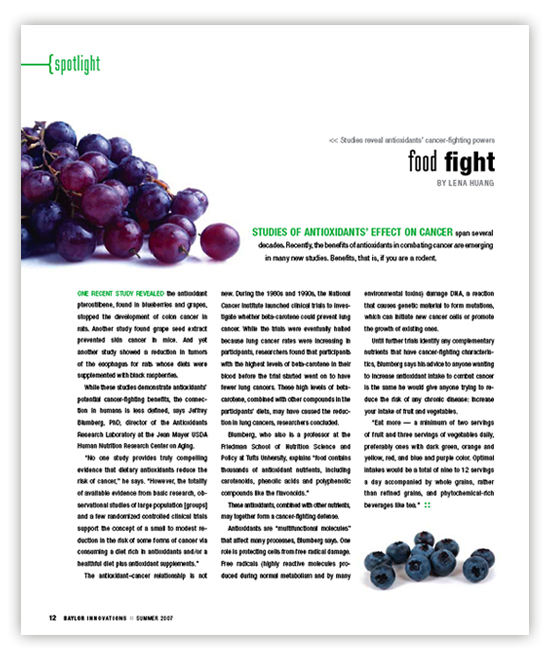 Check out our latest blog posts below. Paper Patina is a unique fusion of creativity and artistic communication fueled with passion and inspiration. The small design studio based in Dallas, Texas is owned by Corrie Demmler who has over 15 years of experience in corporate design. Our goal is to use effective design to meet your companies needs whether you are just getting started or already at the top of the market.